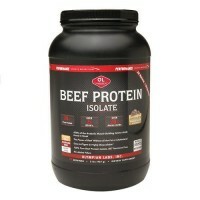 Vegetarian formula. 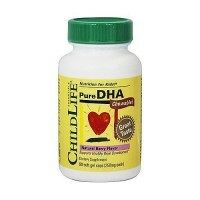 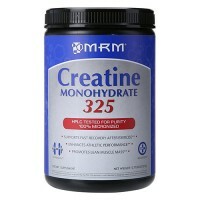 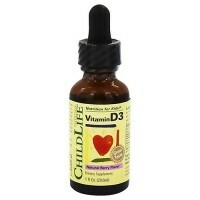 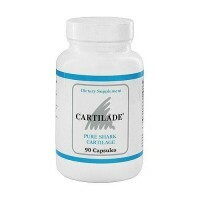 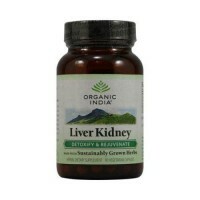 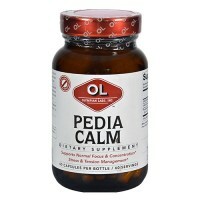 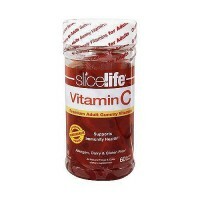 Full spectrum of essential daily vitamins and mineral for good health. 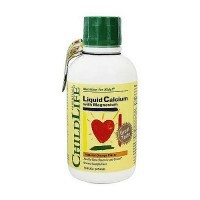 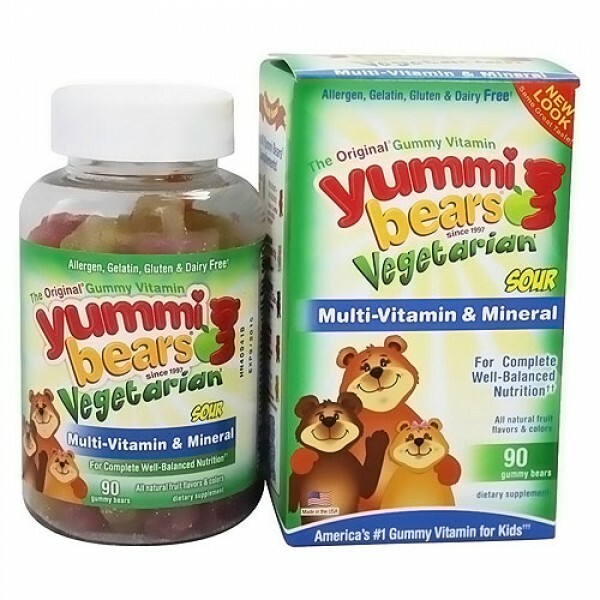 Award winning and the # 1 nutritionist preferred children's gummy vitamin offers a vegetarian formula, full spectrum of essential daily vitamins & mineral for good health. 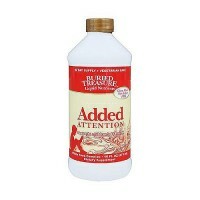 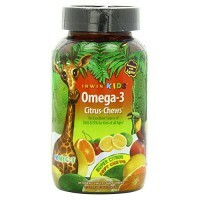 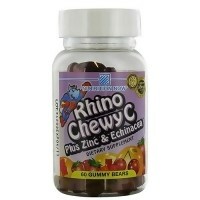 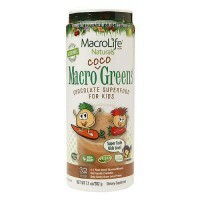 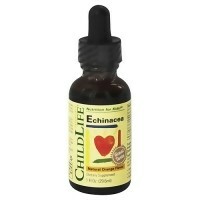 These are a complete nutritional system designed to compliment children's dietary needs. 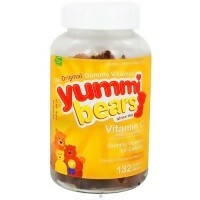 Yummi Bears are the perfect nutritional solution, because kids love the taste and moms and dads appreciate the wholesome nutrition. 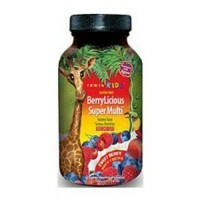 All natural colors and great tasting natural fruit flavors. 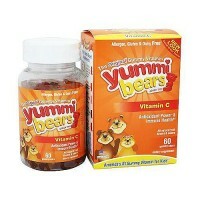 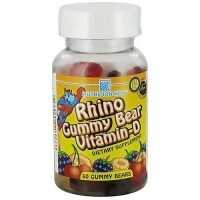 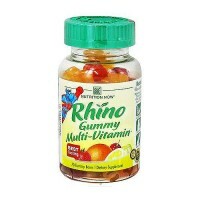 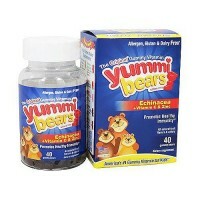 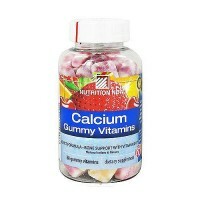 Yummi Bears gummy vitamins are gluten, casein and allergen free. 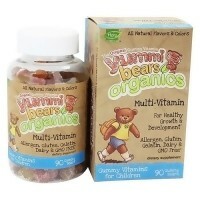 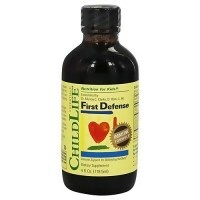 As a dietary supplement, parents may give each child up to three (3) bears per day. 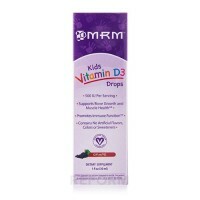 Store in a cool, dry place, out of the reach of children. 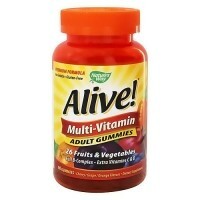 Free of: Yeast, Wheat, Milk, Eggs, Soy, Gluten, Salt, Peanuts, shellfish, Artificial Colors, Artificial Flavors, Salicylates and Preservatives.